Students will be able to take good notes by learning how to shorten what hear in writing using different techniques. What 3 kinds of notes will this method be useful for? What classes will this work for? Since you can't write in your textbooks of the novels we borrow from the school library, what method could you use to replace highlighting, but still use different colors to mark different things? What are the first 3 steps of the 6? What are the last three? I supply your Cornell notes paper, but you can measure with 3 fingers to the right of the red line, then draw a vertical line at that distance from the left side creating a column that's the right width. What is the first thing you put on the top of your paper? Why is this so important? Depending on the purpose of your notes, you would write the topic, your title, the assignment title, the objective, etc. You do need to pick at least one of these besides adding your own name--first and last names always, and your period number. What are you going to write down? I need to write only in grammatically correct sentences. When you go back to your notes (SOMETHING YOU MUST DO), what do you need to do with the blank spaces and the things you didn't write down clearly? What do you need to write in the narrower column on the left when you're finished, usually at home as part of your nightly homework? 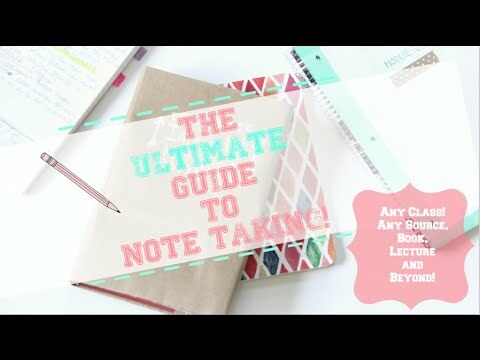 What is this step of note-taking called? Why? How could you use this technique in English with your own notes? If you don't know, it's because you aren't taking notes on the things that are said in class. Everything--well, almost everything--is important. 2. Question--Flag a point where you had a question. It was unclear or you just wondered about something. 4. Evaluate--Flag where you framed an opinion about the story or character, something you like or dislike or jusst general thoughts. What should you not do? What should you look for? Search for _______ themes, for the way the lecture relates to the whole course. Why should you draw little pictures, sketches? If you don't ___ your notes, they'll be pretty but they won't help your grade or what you take away from each class meeting.